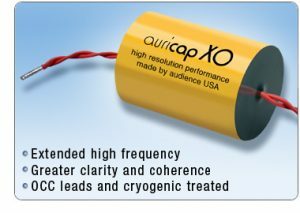 Auricap XO lead wire is Auric OHNO "mono crystal" hook up wire, with XLPE insulation. Audience sells this sensibly designed, down to earth, easy to work with, natural sounding hook up wire. Auric wire is made of soft high purity stranded copper; each strand individually polished for better electron flow. The insulation is high quality cross linked polyethylene that resists shrinking when soldered. The polyethylene insulation has good dielectric properties, close to Teflon, so it sounds very good.